Natural Diuretic Pill that helps your body combat water retention. This supplement contains water reducing ingredients such as Vitamin B6, Dandelion Leaf, Green Tea and an abundance of other bloat busters. Natural Diuretic Pill that helps your body combat water retention. This supplement contains water reducing ingredients such as Vitamin B6, Dandelion Root, Green Tea and an abundance of other bloat busters. EACH SUPPLEMENT IS DESIGNED AT THE HIGHEST QUALITY STANDARDS Only the most pure and potent ingredients go into these specially formulated water pills. These diuretic capsules are produced in a facility that exceeds cGMP standards. EACH PILL COMES IN AN EASY TO SWALLOW CAPSULE all of our natural materials are contained within a user friendly capsule. Provides effective relief from water retention as well as any of the swelling, bloating or weight gain which water retention tends to cause. 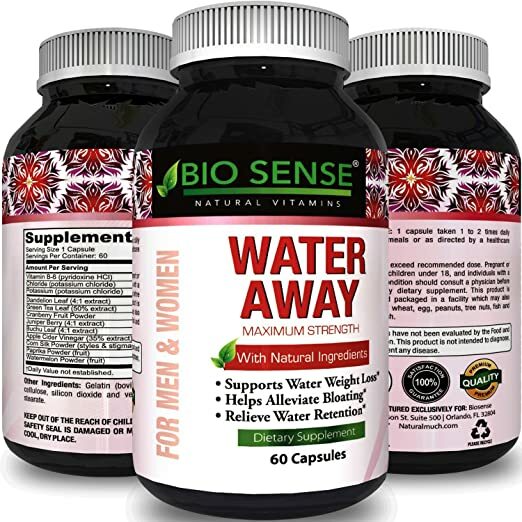 ABUNDANT IN NATURAL INGREDIENTS – Contains an abundance of natural herbs vitamins and minerals such as Cranberry and Juniper Berry which are potent in their ability to combat water retention. They are also powerful antioxidant which help protect the body.